Written by Debra F. Guajardo, Originally published in Jan/Feb 2012. Guardian Pit Bull Rescue (GPBR), a 501(c) non-profit organization located in The Woodlands, strives to educate, advocate on behalf of and rescue pit bulls. Founded in 2010 by Aaron and Tanya Ogden, the group has grown rapidly and continues to pick up a strong following. Guardian volunteers work tirelessly and are passionate about their mission: to dispel myths, fight ignorance and help the public know pit bulls for the loyalty, compassion and unending willingness to love and please their owners. This past quarter has been Guardian’s most eventful. From leading the float parade at PetFest in celebration of National Pit Bull Awareness Day, participating in the Love-A-Bull event in Austin, the ABKC Bully Bash, to being the benefitting rescue at the ABKC Texas Bullorama in Dallas. 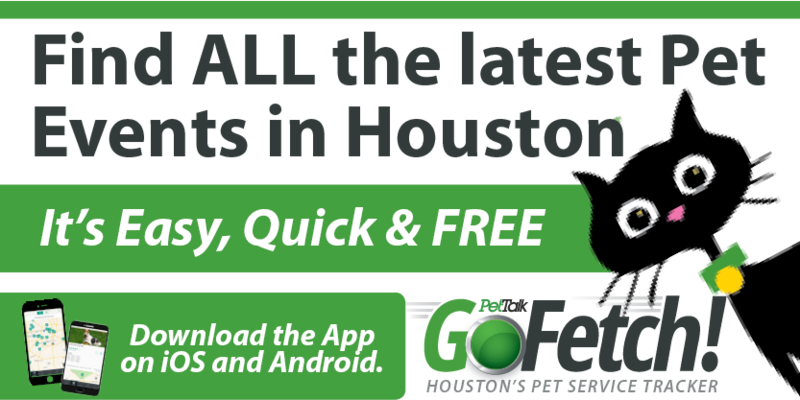 Sprinkled in between, were numerous adoption events and fundraisers at local establishments and weekly walks on The Woodlands Waterway. GPBR’s rescue efforts focus on pulling pit bulls from local animal shelters. Despite their friendly personalities, many are on their final hour, have nowhere else to turn and face immediate euthanasia. GPBR carefully screens potential rescues and looks for candidates that can be successfully placed in a home environment. As GPBR is a purely foster-based rescue, all of its rescues benefit from the love and security many never received. Most achieve basic obedience and crate training and live with families where they are exposed to children of all ages, family pets and other fosters. Potential adopters must complete a lengthy adoption application and satisfy an in-home visit. Sadly, some fosters require more extensive rehabilitation. Ruby, a young female that was found alone and barely alive months after her owners moved away, is one example. Extremely emaciated and showing visible signs of having been used as a breeder and bait dog, she is slowly recovering. Despite suffering from a broken hip that still requires surgery, her calm and loving personality reflect the resilient, loving and forgiving nature of pit bulls. Recruiting potential foster parents, fund raising to offset foster costs and paying for the surgical intervention some rescues require remain GPBR’s greatest challenges. 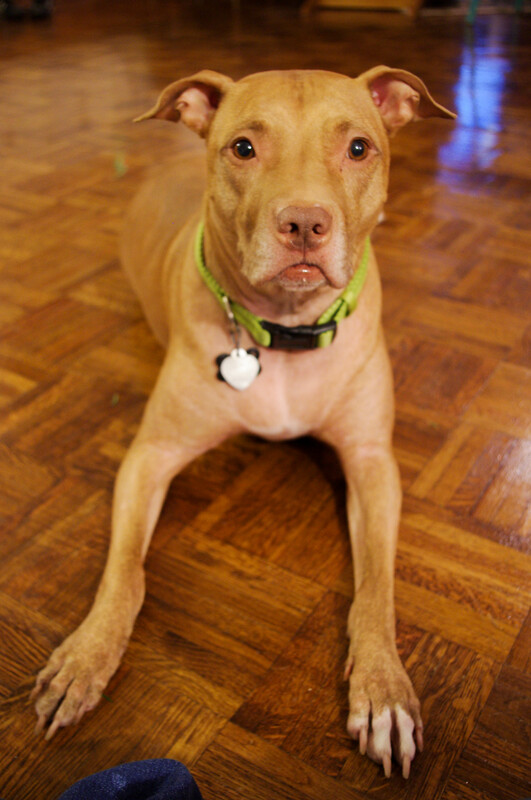 Responsible pet ownership is one of GPBR’s strongest mantras. Guardian’s Ambassador Training Program, available to any pit bull owner, strives to create positive ambassadors on both ends of the leash. The two part pro gram is held in The Woodlands every weekend and culminates in the opportunity to test for the Canine Good Citizen (CGC) certification. When it comes to promoting pit bulls and advocating for a fair chance at life and a place as a beloved family pet, Guardian’s “Pit Crew” knows no bounds. While recognizing the incredible uphill battle against biased media coverage, the threat of BSL, and the endless need for fosters and funding, these Guardians move forward. Channeling the loyalty, tenacity, strength and dedication that made the pit bull the symbol of American strength and courage during World War I, they know the importance of their cause. For more information about GPBR, please visit their web site at www.guardianpitbullrescue. com.